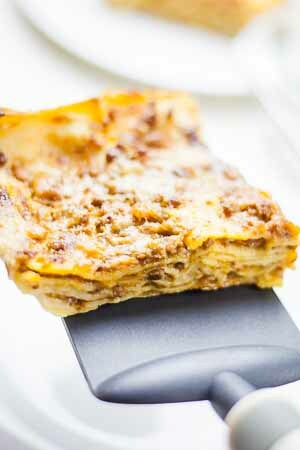 Easy Italian lasagna bolognese style and one of my favorite dishes that I often make when in a hurry having guests at home. 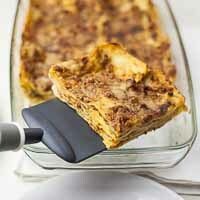 If you want to play safe this is the easiest meat lasagna you can make with no-boil lasagna sheets. The amount of ingredients I have indicated are for abouty 6 people, but it's also fine for 8. It's really depending on the hunger of you and your guests. 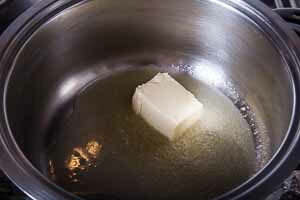 Melt the butter in a medium saucepan over low heat. 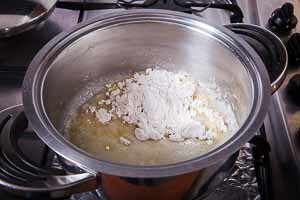 Once melted slowly pour in all the flour and whisk constantly for 2 minutes or until a paste as formed. 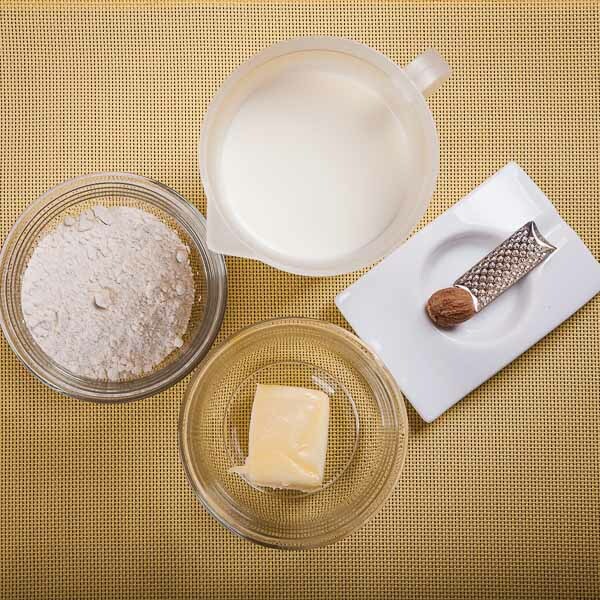 Keep the heat low and start to add about 2 tbsp (30 g) of milk first and whisk vigorously. 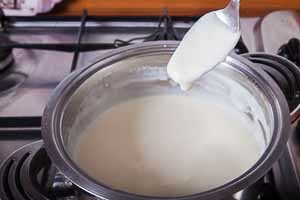 When the mixture turns smooth slowly add all the remaining milk. Raise the heat to medium-low and add a pinch of salt, pepper and a sprinkle of nutmeg. 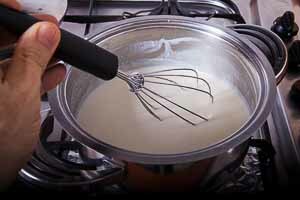 Whisk often until the bechamel sauce thickens to the consistency of an heavy cream. It can take a few minutes to cook. Remove the saucepan from the heat and use immediately or keep aside for a moment until you are ready to assemble the all. 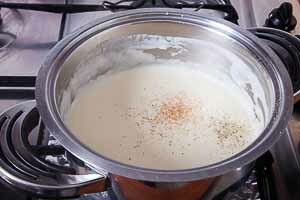 Grease a 13-by-9 inch (33 x 23 cm) casserole and pour over the bottom several tablespoons of bechamel. 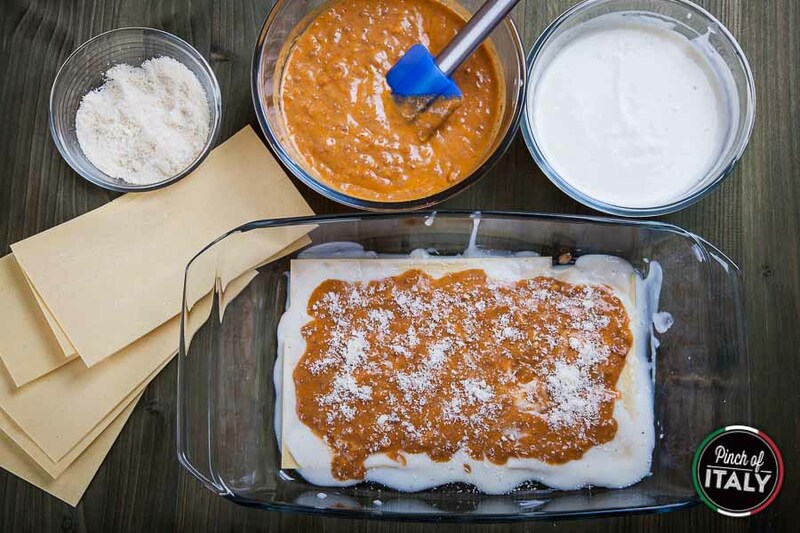 Line the first layer of lasagna sheets or if you have made your own. Make sure that the sheets touch but do not overlap. Spread about ⅔ cup (150 ml) of bolognese sauce evenly over the lasagna. Drizzle about 3 tbsp (50ml) of bechamel sauce and sprinkle with 2 tbsp (30 g) of Parmigiano cheese. 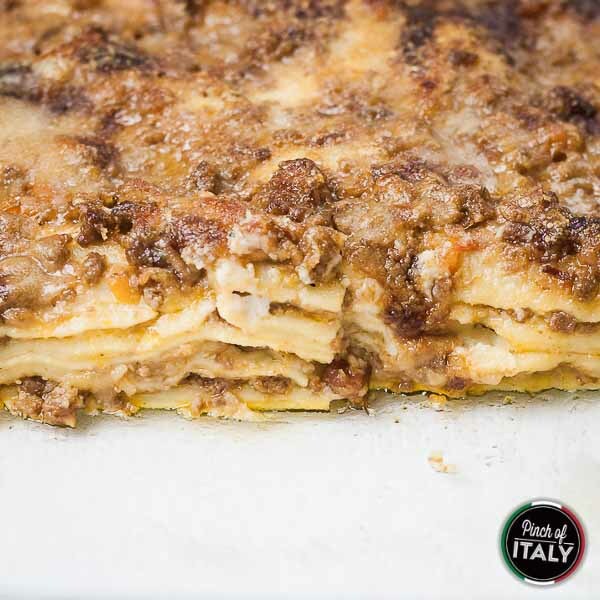 Repeat the layering of the lasagna sheets, bechamel sauce, bolognese sauce and cheese 5 more times. For the sixth and final layer coat the sheets with the remaining bechamel, bolognese and sprinkle with the remaining Parmigiano cheese too. Preheat the oven to 350°F (180°C) and bake until the cheese on the top turns golden brown, about 20 minutes. Remove the pan from the oven and let the lasagna rest for 5 minutes before serving. In a pan begin by melting first the butter, then pour slowly in all the flour. 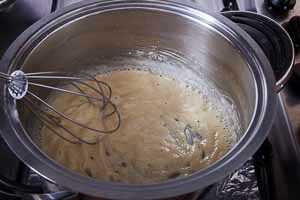 Keep whisking constantly for about 2 minutes until a paste as formed. Add slowly the milk kept at room temperature and keep whisking. Cook for a few minutes at low heat until it turn smooth and thick. 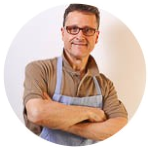 Finely or while cooking add salt, pepper and nutmeg to taste. Spread evenly over the bottom ofa baking casserole the bolognese sauce and bechamel sauce. Sprinkle over with Parmigiano cheese. 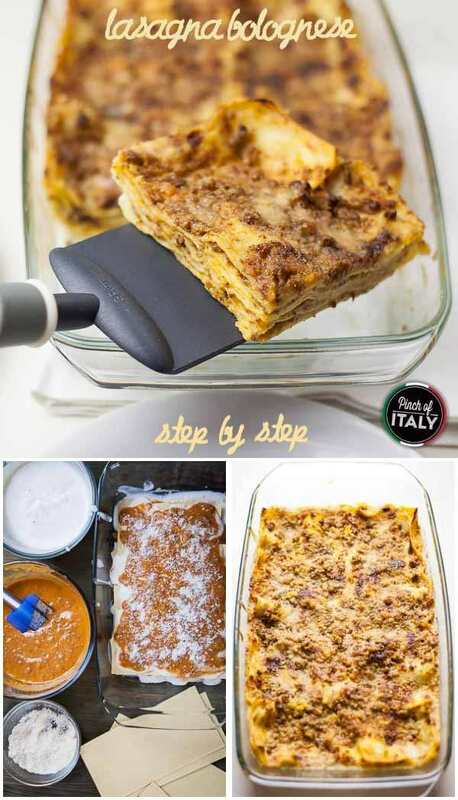 Repeat the layering of the lasagna sheets, Bolognese sauce and bechamel sauce and Parmigiano cheese over each layer at least for 5 more times. 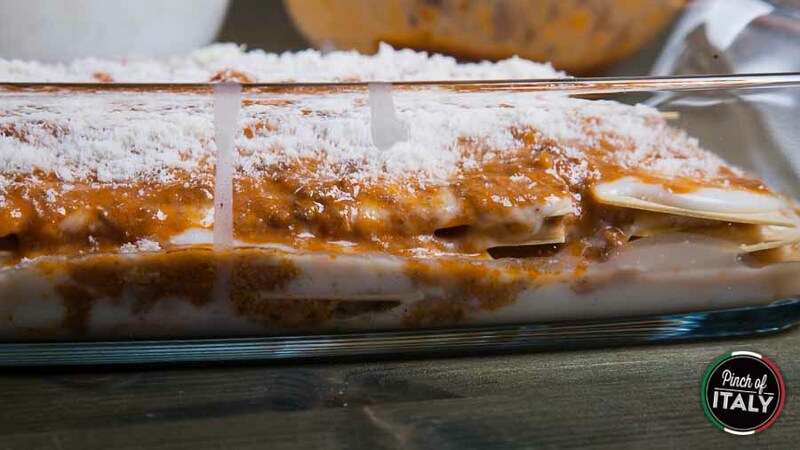 For the final layer coat the lasagna sheets with the remaining sauces and sprinkle with more Parmigiano cheese to taste. Bake covered with an aluminium foil at 350°F (180°C) for about 20 minutes. Then remove the foil of aluminium and grill for another few minutes until the top turns crisp and golden brown.